Spring is here, and we're delighted to support the communities of Greater Sacramento as they encourage their citizens to enjoy the great outdoors and promote good health. Today we're highlighting one of those upcoming events. 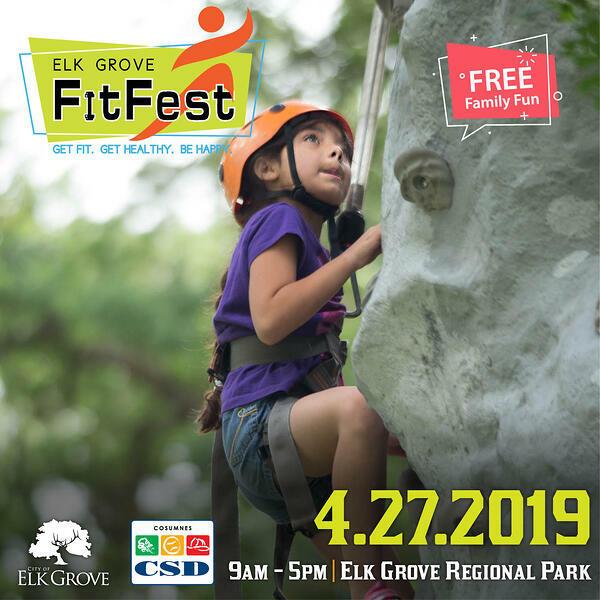 Join the City of Elk Grove and the Cosumnes Community Service District (CSD) at FitFest on Saturday, April 27th to celebrate everything fitness. Elk Grove FitFest will be held at Elk Grove Park (9950 Elk Grove-Florin Rd) from 9-5 PM and is FREE for the entire family! Stroll through the Fitness Festival and visit the many healthy vendors there, enjoy all-day stage entertainment, have lunch on-site with a picnic or grab something from the food vendors, and check out the FREE kids zone featuring a BMX Stunt Bike Show, climbing rock wall, euro jumpers, inflatable obstacle course, bounce houses, zorb balls, bungee run, gladiator joust, hippo chow down and jumbo soccer darts! Plus, there's a little tot tumbling area. Find even more adventure when you take a seat and watch athletes battle it out in the Elk Grove Gauntlet and have fun watching the little ones make their way through the Kids Warrior Challenge Obstacle course. (Pre-registration is required for those who wish to compete). California Family Fitness will be there to add to the excitement with onstage group fitness class demonstrations. Come sweat it out with us! All this, and so much more! Get all the details on free and fun activities at the festival by clicking HERE. We hope to see you there!